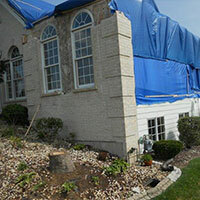 When you have an unexpected emergency from a fire, vandalism or wind damage, our highly trained staff can be dispatched immediately to secure your home or business and protect your property. 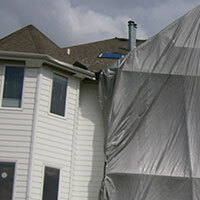 Our board up and tarping services mitigate the damage and help provide some peace of mind during this trying time. Slide Between Images for an Interactive Before and After Comparison.